Quietly tucked away, set in own grounds just minutes from a wide and sandy dune backed beach, having two modern child friendly pubs within a short stroll. This very comfortable and well furnished, single storey property lies a short distance from an extensive range of amenities. Newly refurbished and equipped to a very high standard, it is the perfect place to enjoy a relaxing holiday but with plenty to do and see around the surrounding areas. 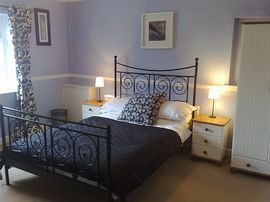 All 5 bedrooms are of an excellent standard,two doubles having a further single bed for alternative sleeping. We have central heating in our property and there is a solid fuel cast iron fire which takes coal and logs provided free of charge in the main lounge which makes it very cosy during the winter months, with archway to slated pool table. There are three bathrooms in total, one main large bathroom, the second just off the lounge and a third which is en suite to one of the bedrooms. Beach is 5 minutes walking distance. Quiet location but ideally situated for all amenities. Property all on ground floor. 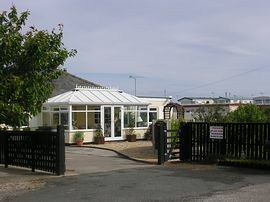 Wheelchair access through main entrance in to property. To be paid on arrival please. There is no smoking in the property thankyou. Large secure front garden with seating and swings. Rear secure patio area with lighting,seating and bbq. Local Services: Train station about 5KM from property. Local Bus routes stop at top of Road around 300 yards. We reccommend traveling to the property by car,there is a local bus route which runs straight to the top of the road. 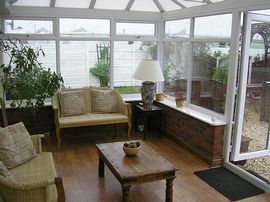 The nearest train station is around 3 miles away 3 miles with taxi sevices right outside. From the A55 head for Abergele/Pensarn junction 23, take this turning off and head in the direction of Rhyl, after travelling along this road you will pass through Pensarn into towyn. Once over the stone railway bridge, you will come to a set of traffic lights. Go through these lights, this is now Fforyd Road, after around 500 yards or so look out for two pubs either side of the road. The Mayqauy and the Hungry Horse. Once you have located these pubs you need to turn left onto Southlands Road, just before the Mayqauy public house. Go straight down to the bottom of this road and we are located on the right by way of a black farm gate with BEACH COTTAGE on it. 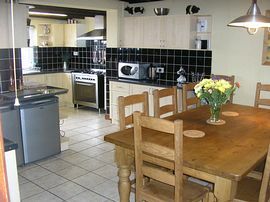 Prices start at around £600.00 off peak to £1,700.00 for full weeks. Short breaks vary from around £150.00 a day upwards. Please remember that these prices are for the property and not per person. Please either contact me by Telephone or Email for a more detailed pricing structure. Open all year round, arrival is 4.00pm. Weekly bookings throughout the year available. 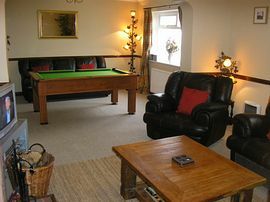 Short breaks are available anytime except during high season, Bank Holidays, Christmas and New Year. We were awarded 4 stars with the Wales tourist board in 2007/08.